Many of us panic when it comes to moving house, this is due to the number of tasks that seem to pile up before the big day. From packing up your existing home to organising your new one, it’s fair to say that you will probably have a lot on your plate. We have made a simple infographic to help you get on your way to organising your move. Most of the time, making the first step can be the toughest and things seem to get easier from there, so without further ado, here are 5 things to do before moving house. One of the more obvious things to do is tell people you are moving. Now although you’ve probably broken the news to your family and friends, you mustn’t forget to tell the bank, doctors and other official establishments. It is important to keep your information up to date and so making a list of important services can help you make your way through them in no time. If you have decided to use a removals company, it’s better to book this sooner rather than later. The longer you leave it to organise a removals team, the higher the chance of being left on move day with no help! Once you’ve got your date, ring your chosen removals company and secure your date so that you can rest assured that you won’t be scrambling last minute! Living day to day with clutter can be stressful, however, moving with clutter is even worse. Start to declutter your belongings bit by bit so that by the time you move house, you’re only left with things you want. Packing clutter and unwanted items can cost you in time and money, you don’t want to pay for boxes to pack unnecessary bits and bobs. Did you know that we have a decluttering challenge that comes with a handy checklist? Click here to find out more. When it comes to utility bills, we don’t want any confusion. 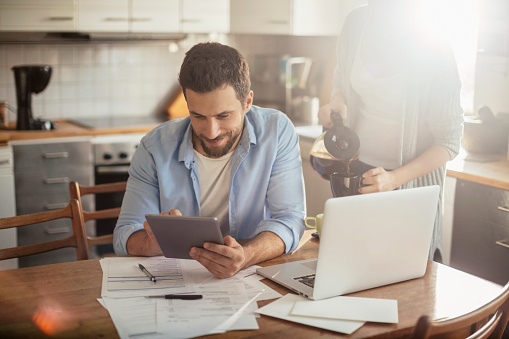 Make sure to organise your utilities and suppliers, whether that’s setting a date to disconnect your current supply or finalising new set ups for your new home. A great tip is to take photos of your meters in your home before you leave and as you arrive in your new home, this means you can rest assured that you won’t be paying for anyone else’s expenses! Last but not least, make sure to pack an overnight bag for your first night in the new house. The last thing you want to be doing is scrambling through boxes to find your toothbrush! If you’ve collated all of your essentials into one bag, you can spend the first night in the new house celebrating rather than pulling your hair out!